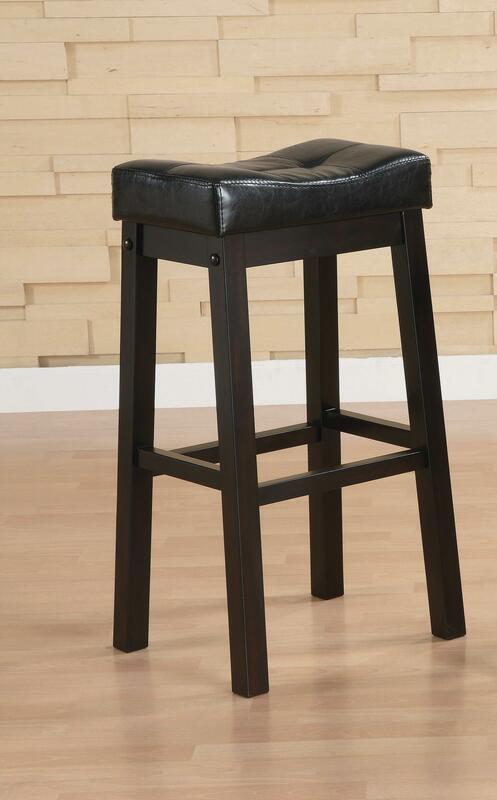 The Sofie Saddle Barstool features shapely scooped seat, straight wood legs, faux leather covered cushion seat in Cappuccino finish. Perfect for a small dining area or game room. 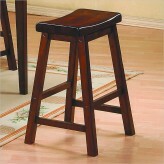 Available in counter height (look in dining chairs). Furniture Nation is proud to offer the Sofie 29" Padded Barstool online. We serve customers across the DFW region including Arlington, Fort Worth, Denton and many more. L16" x D11" x H30"